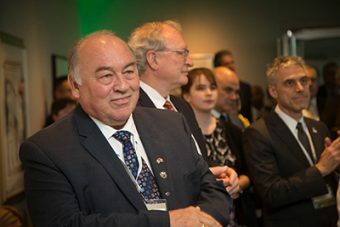 As owners of natural resources, provinces and territories have an essential role to play in developing Canada as a global leader in energy development, knowledge and technology. This includes ensuring that energy development takes place in an environmentally and socially sustainable manner that includes conservation and efficiency and supports the transition to a lower carbon economy. 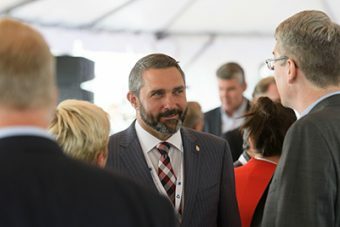 In July 2015, Premiers finalized the Canadian Energy Strategy (CES), to enable a cooperative approach to sustainable energy development that enhances the ways that energy is produced, moved and used in Canada. The CES underpins the shared priorities of economic strength, job creation, climate action, energy security and innovation. 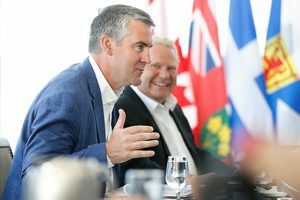 In July 2016, Premiers committed to continue collaborative work in priority areas, and welcomed participation of the federal government in certain areas of CES work, including reducing diesel use in remote and off-grid communities, supporting clean energy technology and innovation, and enhancing energy efficiency policies and mechanisms. Through the CES, provinces and territories have also made significant progress in harmonization of energy efficiency standards and influencing of federal product efficiency standards and building codes. The CES has also advanced opportunities to enhance regional electricity interties and other energy transmission and transportation infrastructure. 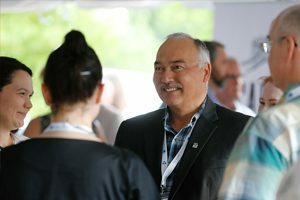 These achievements are in addition to ongoing work regionally and within individual provinces and territories supporting the goals and vision of CES.